Sony company has a rich product line and introduced many popular smart phones to the world. However, a majority of Sony phone users are troubled by the problem: their favorite songs are lost from the Sony mobile phone due to improper operation or accidental causes. They just ask whether these lost music files can be restored? If so, what tool is needed, and what are the steps to get the Sony music files back? In fact, deleted music is not really gone, they are still here but you can not see them. You should stop saving new music files with your Sony phone immediately. 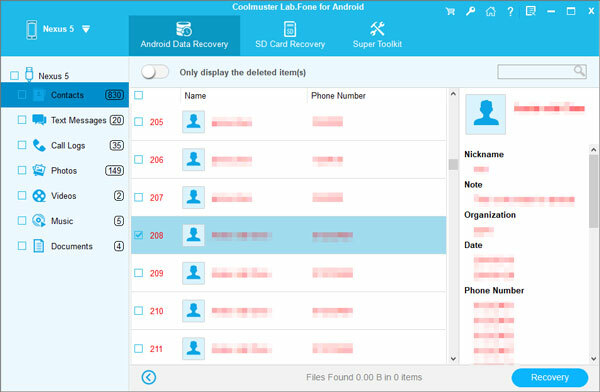 Then, use this Coolmuster Lab.Fone for Android to find the invisible deleted music and recover them back with ease. This application is specially designed for Android users to recover deleted, lost and formatted contacts, SMS, photos, videos, music, etc. from Android phone/tablet. This Android data recovery software not only works for Sony Xperia Z3/Z4/Z5, but also be compatible with other more Android devices. Just click the following button to get it downloaded on your Windows or Mac computer. How to Restore Lost Sony Music Files with Sony Music Recovery? 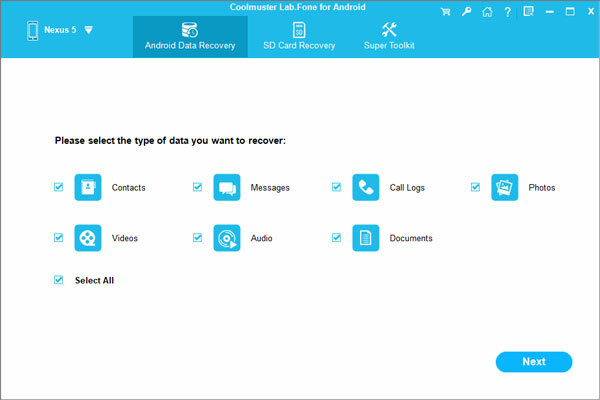 After you download and install the Sony music recovery tool - Coolmuster Lab.Fone for Android, on your computer, you can link your Sony phone to the computer via USB cable to let the software detect it. All recoverable files on your Sony phone are categorized in different folders on left side column. Just choose the folder where contains your deleted music files, preview and mark the songs you want to retrieve. Then, recover them to your computer by clicking the "Recover" button. Just follow the similar steps to recover more from your Sony Xperia Z5/Z4/Z3 by the Lab.Fone for Android.